Dubai Festivals and Retail Establishment (DFRE), an agency of Dubai Tourism, is launching the first ‘Design for Dubai’ fashion contest which aims to support local and regional designers and showcase their talent on both a regional and international stage. Ahmed Al Khaja, CEO, Dubai Festivals and Retail Establishment (DFRE), said: “We are excited to announce the launch of a brand new initiative that aims to discover and promote fashion designers from across the region, offering them the opportunity to showcase their collections in an exclusive dedicated retail space provided by our partners at Dubai Festival City Mall. I look forward to seeing designs from the incredible talent we have within the GCC, as well as providing the next step for the winners in their fashion careers. Dubai is well established as an international fashion destination and continues to be a base for emerging talent to launch themselves." Commenting on the competition, Steven Cleaver, director Shopping Malls, Al-Futtaim Group Real Estate, said: “The Design for Dubai competition in partnership with DTCM is one that we are incredibly passionate about, as we believe, there is an abundance of great local talent in this region, and having the chance to nurture these individuals and help them on their journey to success is truly exciting. We are really looking forward to housing five new designers at the mall’s exclusively curated fashion incubator as part of Design for Dubai competition. 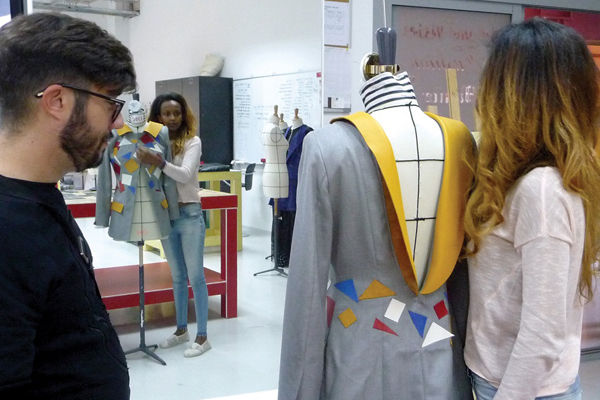 The winning designers will be in the company of the best fashion brands in the region with the likes of luxury department store Robinsons, the newly opened Zara and the French fast fashion brand Kiabi, among others." The competition is open to all residents and nationals from the GCC and will run for two weeks, from March 21 to April 4, with the five winners to be announced on April 9. The Dubai Design Competition builds on the Market Outside the Box (MOTB) event, which took place earlier this year as part of Dubai Shopping Festival (DSF), in highlighting local designers. The fifth edition of MOTB saw 123,422 people visiting the outdoor market during its residency at Burj Park, drawing an array of beautiful artisanal products from independent fashion, jewellery, beauty and homeware retailers.